My first (woo) game, Bubbel, has started to look like a game. It’s a very simple 2D bubble clone. The aim is to make a really addictive playable game to begin with. Then maybe I’ll add some funky ideas – or maybe not. The motivation for this game is threefold. Firstly, most importantly, is for myself. I want to make it, I want to do it. The second is to get a demo, which I can show off to prospective employers – a demo I couldn’t develop very well within the scope of my degree. The third is for Illusia, a bubble fan of supreme proportions. So here it is – the beginning! 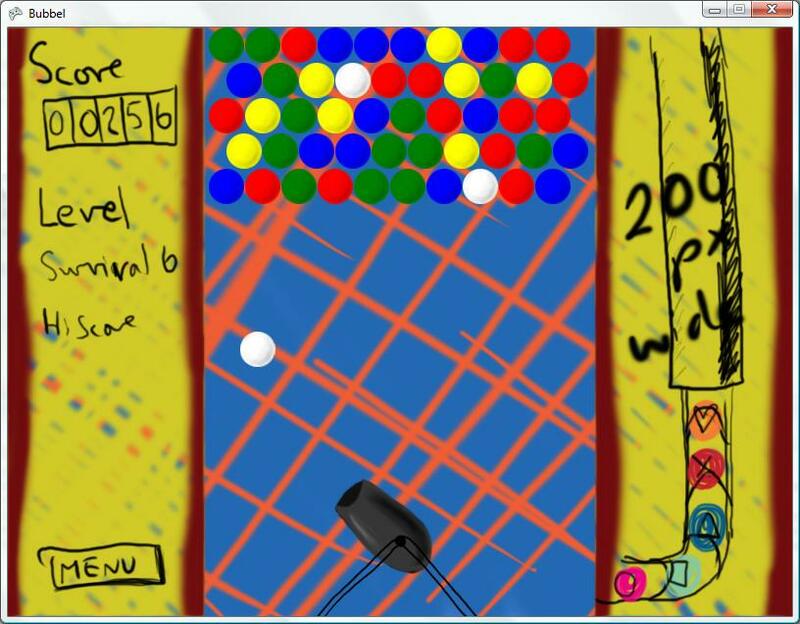 An early version of bubbel - not playable yet, but geting there. Next Post Don’t email me my password! I should be The FIRST reason, not the third! Hmph. Yer a failure of a minion. Oh ye, and since I forgot – Geek 8D.